You’ll enjoy a comfortable stay with outstanding service at the Holiday Inn Express of Horse Cave, Kentucky. Just off I-65 at Exit 58, our hotel’s location gives you easy access to local attractions. Our Horse Cave, KY hotel is perfect for leisure travelers. We offer convenient access to nearby, local attractions such as Hidden River Cave / American Cave Museum, KY Down Under Adventure Zoo & Mammoth Cave National Park. 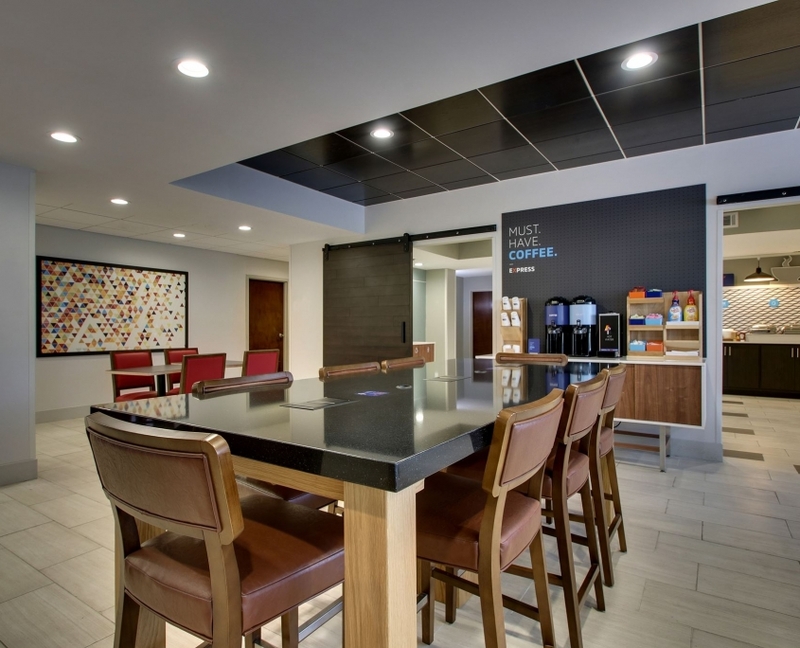 Corporate guests can easily stay connected to the office with the use of our complimentary wireless internet, as well as the 24 hour business center. We offer and array of complimentary amenities, including a hot breakfast bar, a large, indoor, heated swimming pool and a 24 hour fitness center. Come and enjoy cave country with us at Holiday Inn Express, Horse Cave, KY.